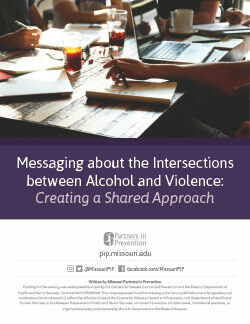 TIn August 2016, teams from fifteen Missouri higher education campuses met in Columbia, Missouri for a team consultation and training event designed to help campuses learn more about messaging about alcohol and sexual violence on college campuses. The goal of the workshop was to examine the intersections between alcohol and violence in order to create a shared communication approach. The facilitator of the event was public health expert, Dr. Linda Langford of Langford and Associates. While there are numerous options for addressing alcohol issues, they are not all equally effective. CollegeAIM can help schools choose interventions wisely—boosting their chances for success and helping them improve the health and safety of their students. Department of Education has released the 2016 Edition of the Handbook. 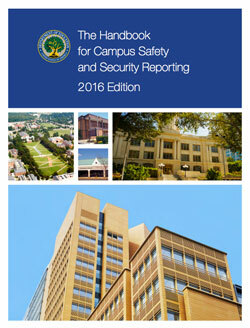 The Department of Education (ED), Office of Postsecondary Education released the highly anticipated Handbook for Handbook for Campus Safety and Security Reporting 2016 Edition (PDF). This updated edition includes the 2014 VAWA Amendments to the Clery Act. ED makes clear that the 2016 edition replaces all previous editions of the Handbook and "assists you in laying the proper foundation for complying with the Clery Act and other Higher Education Act safety- and security-related reporting requirements." The CDC has released their Technical Package to STOP SV (Sexual Violence) which summarizes the available research regarding sexual violence prevention best practices. 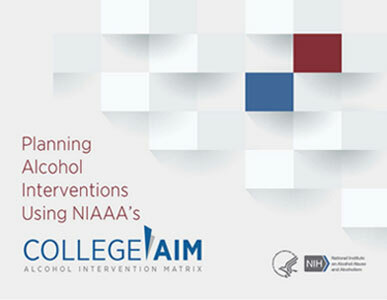 This is a landmark publication, similar to the NIAAA report that came out in 2002 regarding evidence based approaches to alcohol abuse prevention. We will offer an opportunity to get together to compare our approaches at UCM to the recommendations in this package and consider how we can continue to strengthen our efforts on campus and our community partnerships. Till then, I encourage you to use this excellent resource to help guide activity selection and planning in your individual departments and organizations, as well as resources found at vetoviolence.cdc.gov. Please also forward this email to colleagues and students who may be doing this work. Download the Technical Package here! Barber, J., Espino, M., & Bureau, D. (2015). Fraternities and sororities: Developing a compelling case for relevance in higher education. Today’s college students: A reader. New York: Peter Lang. Danielson, C., Taylor, S. H., & Hartford, M. (2001). Examining the complex relationship between Greek life and alcohol: A literature review. NASPA Journal, 38(4), 451-465. Sasso, P. A. (2012). Towards a typology of fraternity/sorority programs: A content analysis. Oracle: The Research Journal of the Association of Fraternity/Sorority Advisors, 7(1). Interested in learning more about what makes up advising fraternity and sorority life? Check out this fish bone diagram containing all the items involved in a fraternity/sorority program. It's a real life picture of what happens in at least one office on an annual basis. Since 1992, University of Arizona has been implementing state-of-the-art alcohol prevention social norms campaigns. This link provides online step-by-step campaign implementation instructions as well as an incredibly useful PDF booklet. The “MOST of Us” site provides a comprehensive explanation of social norms approaches. Specific advantages of the site include information on how to implement social norms to a number of different health behaviors. The mission of the National Social Norms Institute is to provide research, evaluation, and dissemination of information on the social norms approach to the field. Specific goals include demonstration and facilitation of the methodology to other health issues and other populations. The Social Norming 101 Primer provides comprehensive and practical resources with a wealth of examples and demonstrations. The site is overseen by one of the preeminent figures in social norms practice, Dr. Wesley H. Perkins.